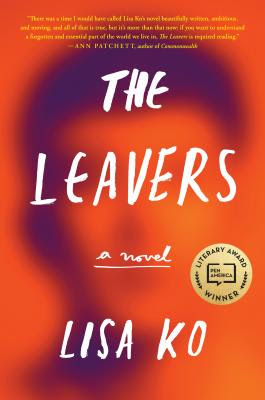 Inspired by recent, real-life stories of undocumented immigrant women whose U.S.-born children were taken away from them and adopted by American families, while the women themselves were jailed or deported, The Leavers is Lisa Ko’s penetrating, finely wrought debut and the latest winner of the PEN/Bellwether Prize for Fiction. In this unforgettable story of immigration, adoption, and lives lived across borders, Ko tells the story of Deming Guo, who, after his undocumented Chinese mother disappears, is adopted by two white professors who change his name to Daniel Wilkinson and attempt to give him an all-American life. Ko has been awarded fellowships from New York Foundation for the Arts, MacDowell Colony, among other honors, and The Leavers has already received high praise from numerous publications and authors such as Ann Patchett and Barbara Kingsolver. Ko is joined in conversation with Hillary Jordan, author of the novels Mudbound (which also won the PEN/Bellwether Prize) and When She Woke.